The one field I rent hasn't got a water supply. 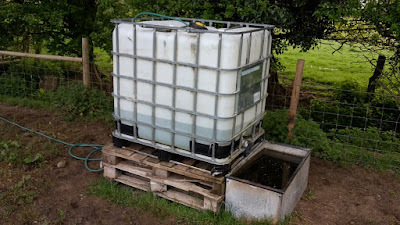 To combat this I use a "water cube", which holds a fair amount of water, but I have to pick it up with the tractor, fill it up, then take it back down to the sheep. A bit of a hassle and they seem to be drinking a fair bit at the moment, what with the hot weather and still having their woolly jumpers! 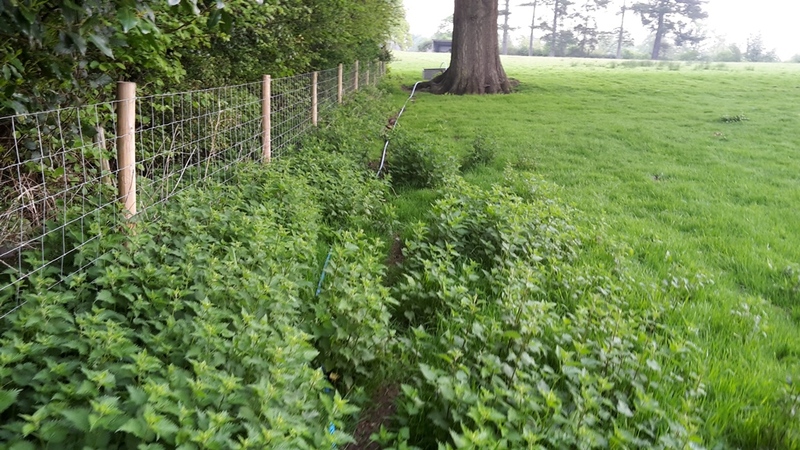 The field next door has a water trough but it's some distance away from where I want it (the other field also has a brook but it's fenced one side so this field has no access. So I decided the other night to run a temporary water line to the cube to save using the tractor and make things a bit quicker and easier. Changes over to alkathene pipe (as I did't have enough pipe of either). To the other water trove that's been disconnected. I normally hate temporary jobs, but this is one that should save me a lot of time in the long run. 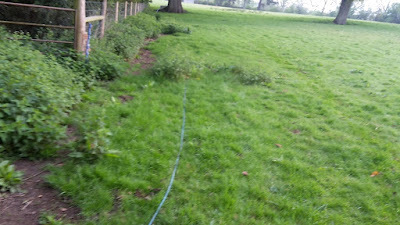 If I owned the field then I'd add water straight away, but as it's rented it's really not worth it. Anyone else make do with temporary jobs to provide water to their stock or crops? They only drink from the chicken's bowl which is a large dog bowl! I've heard that sheep don't like to drink running water. I don't know if that's true or not. Your "fix" works. That's the main thing! 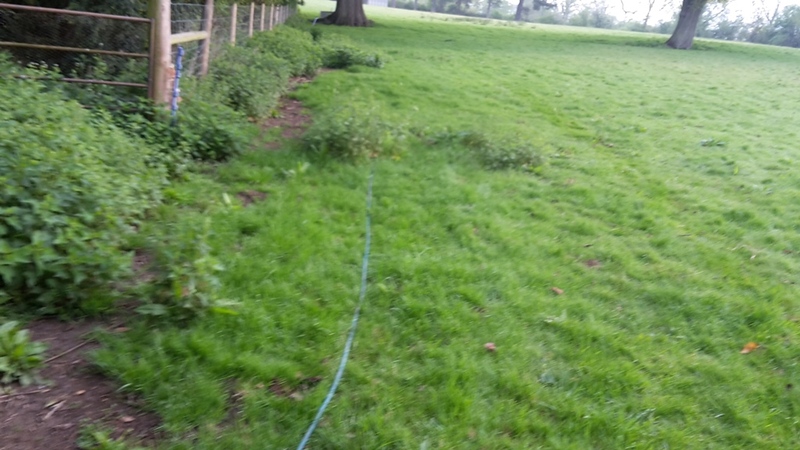 I have a very similar looking pipe that runs from the house to my Veg' Garden. I really should have burried a permanent supply. 'Buried'; I've got the shakes. Looks awfully familiar from a few years ago, I know there's a post on my blog somewhere with 'exciting' pictures of hosepipe! 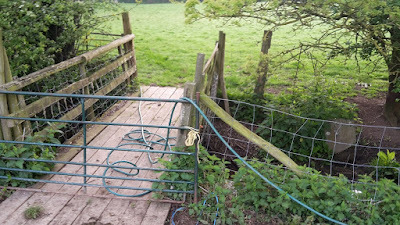 As you say, no sense in investing time or money in anything more than a field expedient fix. 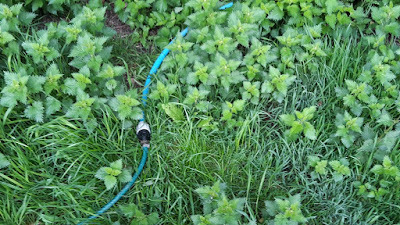 I currently have a long length of hose from the outside tap of the house over to the polytunnel. 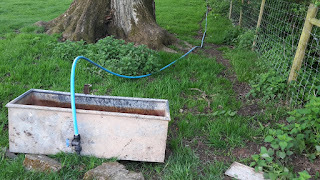 We have the huge water harvesting tank filled to the top but it currently has no power for the pump ... or the pump actually in place ... frustrating. The sheep drink out of two buckets, they let us know as they empty one they tip it over and move onto the next. The three ewes and their now very big lambs drink about half a bucket a day between them. 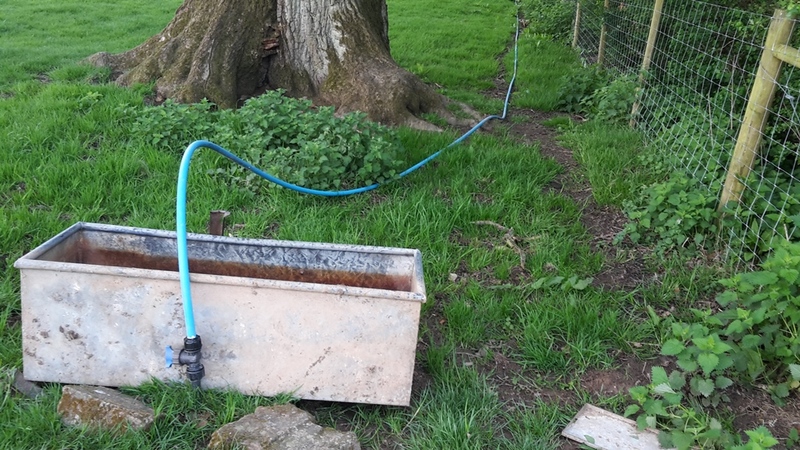 I have carried churns of water in a wheelbarrow and in the transport box behind the tractor for the cattle to drink. 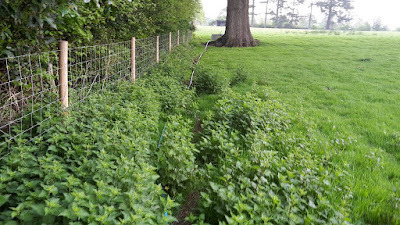 One kind neighbour allowed us to pipe water through our fields and through his garden . I read somewhere that the reason cows and sheep have horns is to dowse for water rather than just to protect themselves.